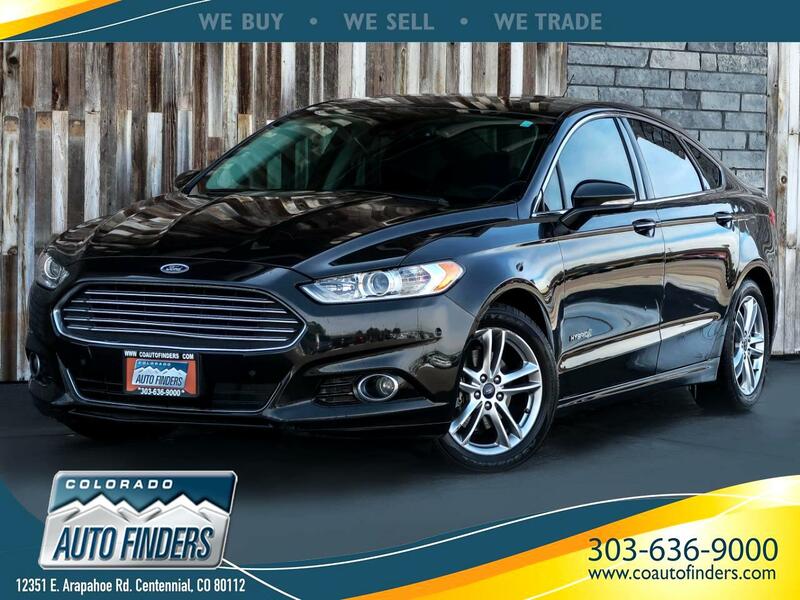 This 2015 Ford Fusion Hybrid for sale in Centennial, CO. This Sedan is PACKED with options and features with the Titanium Trim. It includes Power Seats/Windows/Mirrors/Locks, Heated and Cooled Front Seats, Backup Camera, Rear Parking Sensors, Active Park Assist, Navigation, Bluetooth, Sunroof, Leather Seats, Leather Steering Wheel, and being a Hybrid you can expect Stellar Fuel Economy. It can also parallel Park itself!